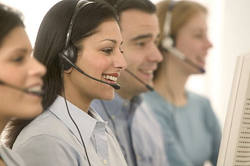 Train your employees to complete energy audits and teach customer service representatives ways to promote energy efficiency in their customer contact. For details, click on the Learning Management link. Track audit data to document compliance and demonstrate the results. For details, click on the Tracking Audit Data link. Your employees already understand the need for energy efficiency- let us build on that knowledge with a comprehensive auditor training program. Residential Appliance Efficiency - Foundational training and information on internal home systems with strategies for increasing energy efficiency. 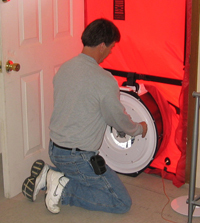 Weatherization & Insulation Remediation - Comprehensive training on insulation including installation processes in new construction, finding air leaks, processes for retrofits or remediation, as well as health and safety considerations. Manufactured Home Weatherization - A full training course on manufactured homes, the construction process, HUD codes, auditing processes and weatherization options. Energy Audit Diagnostics - The complete energy auditing process with detailed information on home and system testing and the tools required for that testing. Home lighting options and the impact of different bulbs on energy consumption. Appliance efficiency including the impact of basic maintenance, temperatures, and age of appliances. Different types of water heaters and the benefits of insulation blankets and pipe insulation. HVAC systems and what homeowners need to do to maintain these systems.